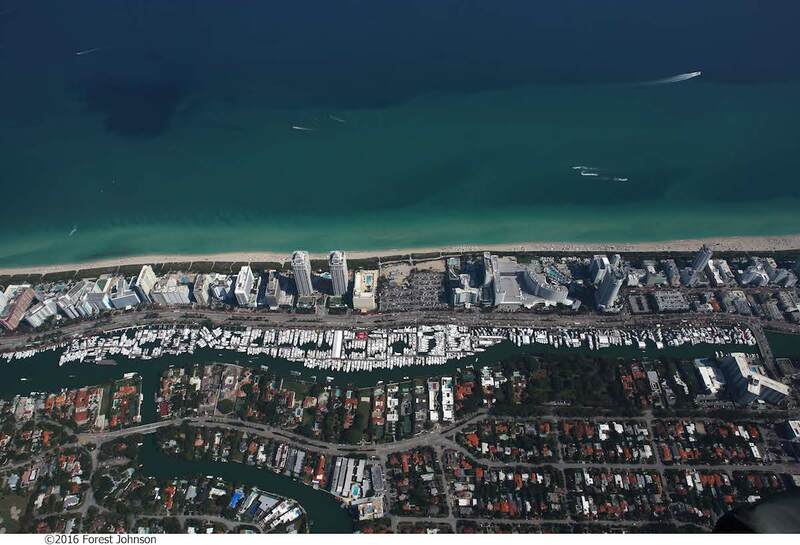 Taking place from 16th to 20th February 2017, the 29th edition of Yachts Miami Beach is set to be bigger and better than ever before, with a new layout and an improved visitor experience. 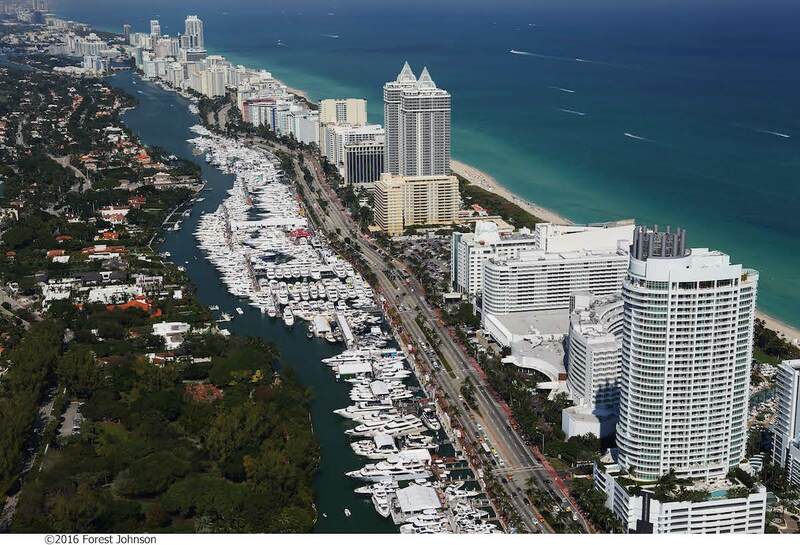 As Miami’s premier in-water boat show, the event will attract thousands of prospective buyers and charterers from all over the world. 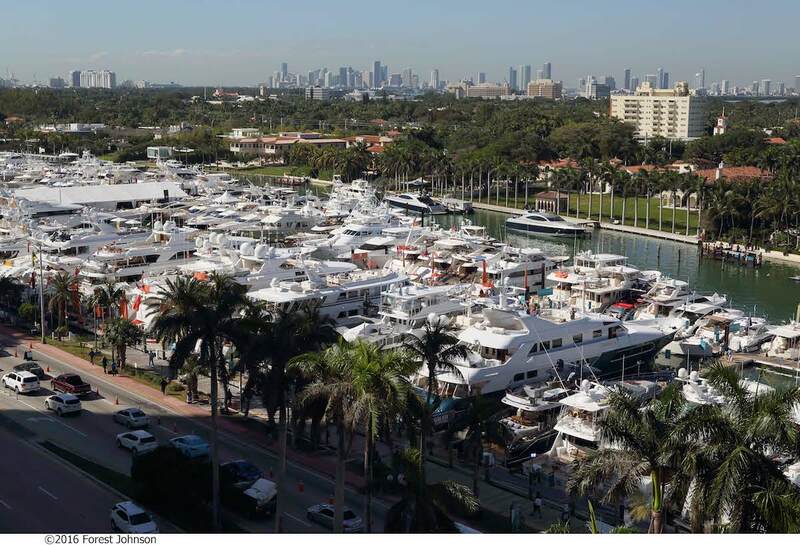 Over 500 luxury yachts will descend upon Miami, transforming Collins Avenue into a display for one of the greatest yachting collections on the planet. New this year is an additional display quay, which will be constructed at Island Gardens on Watson Island to cater for bigger superyachts with larger drafts. As well as a varied fleet of luxury yachts for sale for visitors to admire and view, the latest yachting accessories and technologies will also be on display, offering an insight into the latest innovations in the industry. Over USD 1 billion worth of commodities will be on display. Guests will also be kept entertained by floating cocktail bars, live music, and fantastic food. Guests can arrive at the show by way of a free water shuttle service for the first time in the event’s history. Yacht Miami Beach 2017 is open to both members of the public and yachting professionals, offering the perfect opportunity for seafaring enthusiasts to admire vessels and for brokers to view the best yachts on the market. Attending guests can network on the pontoons by day, and enjoy celebrations at exclusive parties by night. Guests will also have the opportunity to participate in seminars and classes on a variety of topics related to the yachting industry. Attendees can even take sailing expeditions to the Dry Tortugas National Park, located 70 miles west of Key West Florida, and around Florida’s mini-loop. Chamberlain Yachts is excited to be exhibiting two vessels at Yachts Miami Beach 2017: M/Y SKYE and M/Y GO. Built by Azimut in 2015, the 25.20m M/Y SKYE is a spectacular yacht for sale with a distinctive blue fibreglass hull and a white superstructure. With a cruising speed of 22 knots, and a top speed of 27 knots, M/Y SKYE is a great vessel on which to explore the Caribbean islands. She is set over three decks and her four modern staterooms can accommodate up to nine guests in great luxury, while there is additional room for a crew of three. Her deck space is large for a yacht of her size, and includes a vast sun deck. The sophisticated interior blends comfort with style: beige furnishings and light wooden tones evoke a sense of elegance. 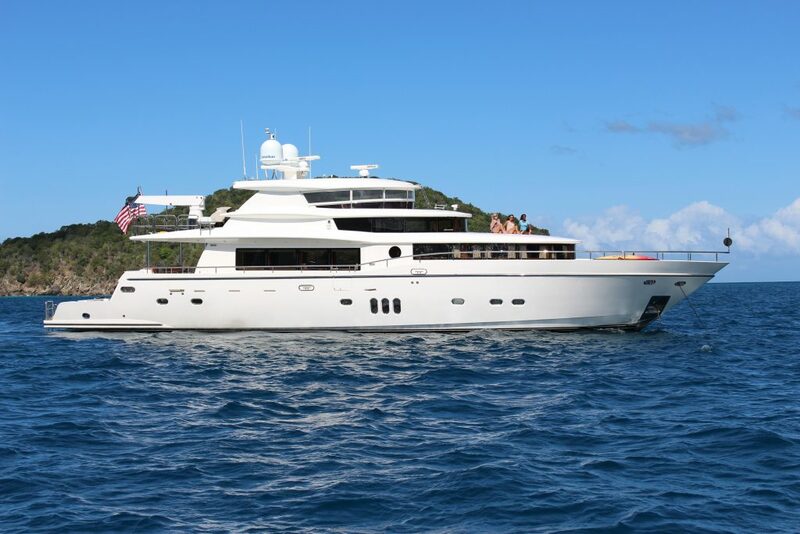 M/Y SKYE is listed for sale for the recently lowered price of USD 3,950,000. Built by the Johnson shipyard in 2011, M/Y GO is a 28.96m vessel with distinctive exterior styling and a sophisticated interior. 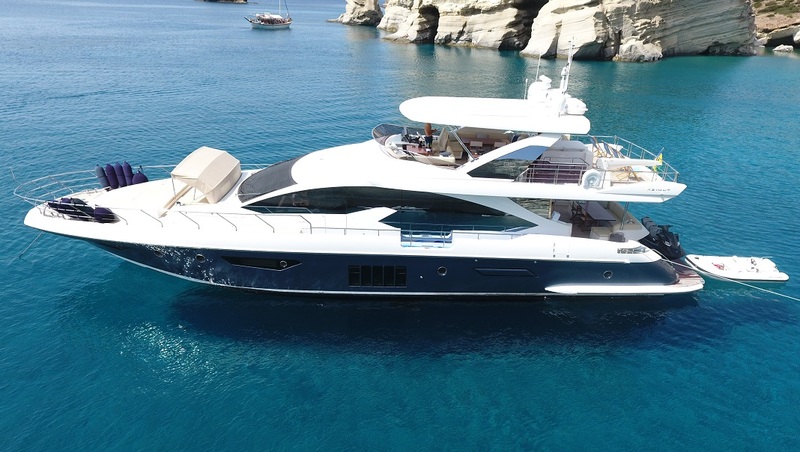 Accommodating seven guests in three luxurious staterooms, M/Y GO is the ideal family cruiser: the kids will love the yacht’s Jacuzzi and selection of water toys, while the yacht’s bar means the adults will be kept entertained. Zero-speed stabilisers make guests’ yachting experience as comfortable as possible. Both vessels will be available for prospective buyers to view at Yachts Miami Beach 2017, and the experienced Chamberlain Yachts sales team will be on hand to provide more information about each yacht. To discuss the yachts for sale, or to find out more information about the event, please contact Chamberlain Yachts.